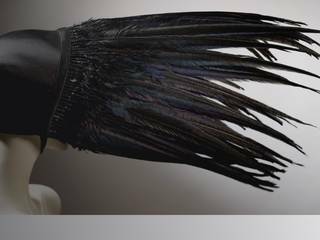 Discover the internal structures of a hat, stays, and a hood - three historic objects from the exhibition, Fashioned from Nature. 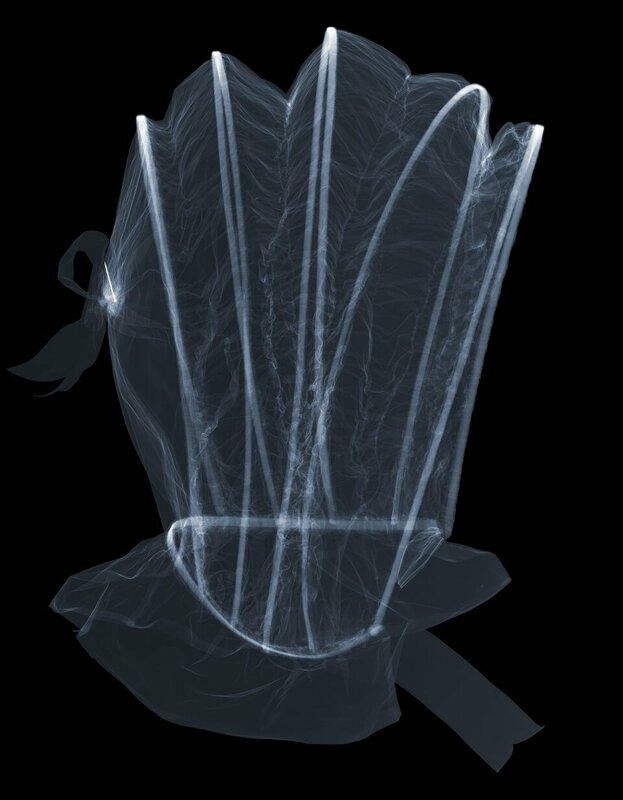 These x-rays, photographed by artist Nick Veasey, reveal how materials from the natural world have been used to provide strength and support to these fashionable objects. The starling on this hat has had its feathers supplemented with those of another bird, probably a goose or swan. 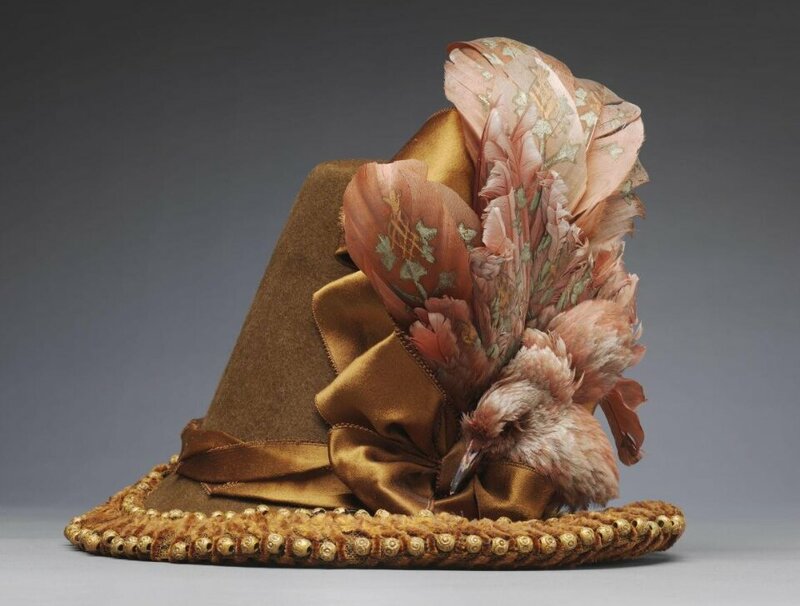 The hat maker has arranged the bleached, dyed and painted feathers to suggest a larger, more exotic species. The beak has also been modified. Its skin has been peeled back to elongate it and it too has been dyed. Many of the felt hats in our collections contain traces of mercuric nitrate. The chemical was used in the felting process from the early 1700s. The hats are kept in sealed bags to contain the remaining toxic contaminants. Mercury poisoning, which causes trembling and anxiety, was a common occupational hazard for hatters. The symptoms led to the expression 'as mad as a hatter'. 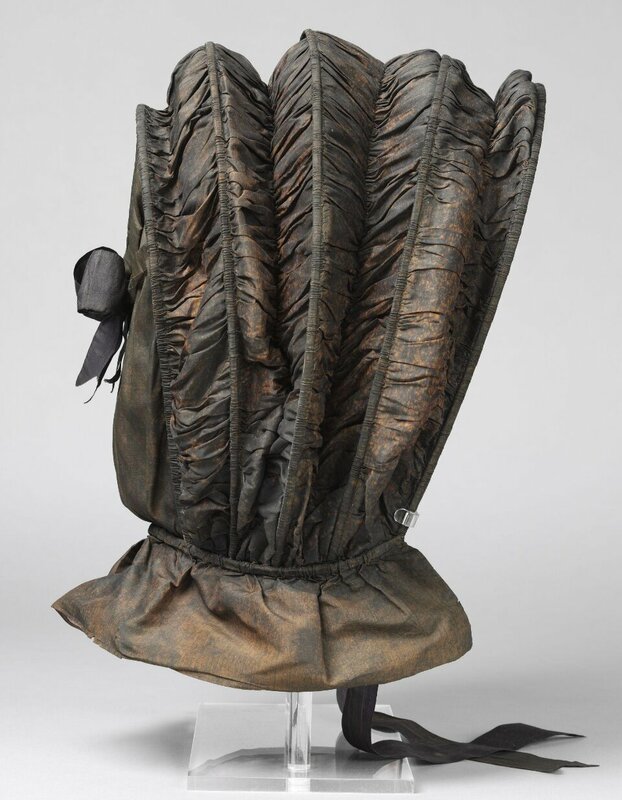 These stays (a type of corset common in the 1700s) have lost their lining, making it possible to see some of the baleen (‘whalebone’) strips through tears in the interlining. 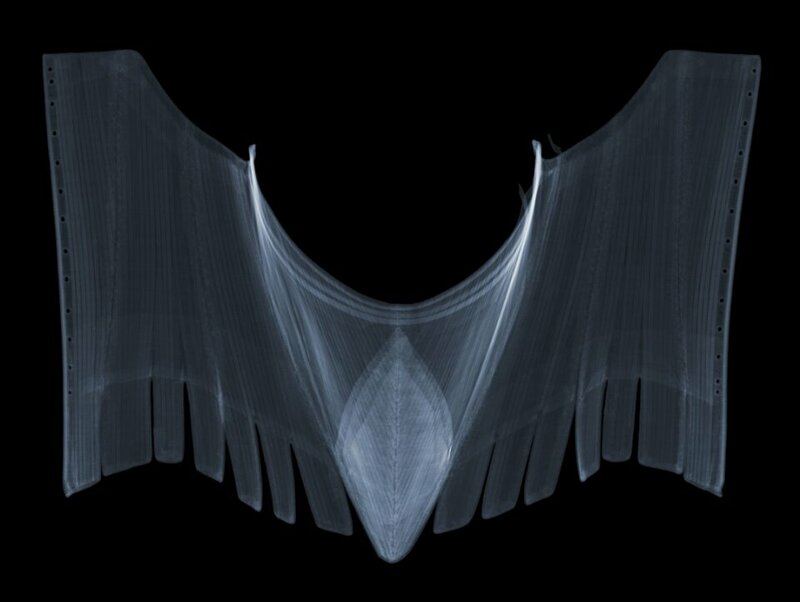 The x-ray reveals the strips’ uniform width. The central panel flattened the stomach. Its lower edges are defined by long bones which connect with the top corners of the front panel. 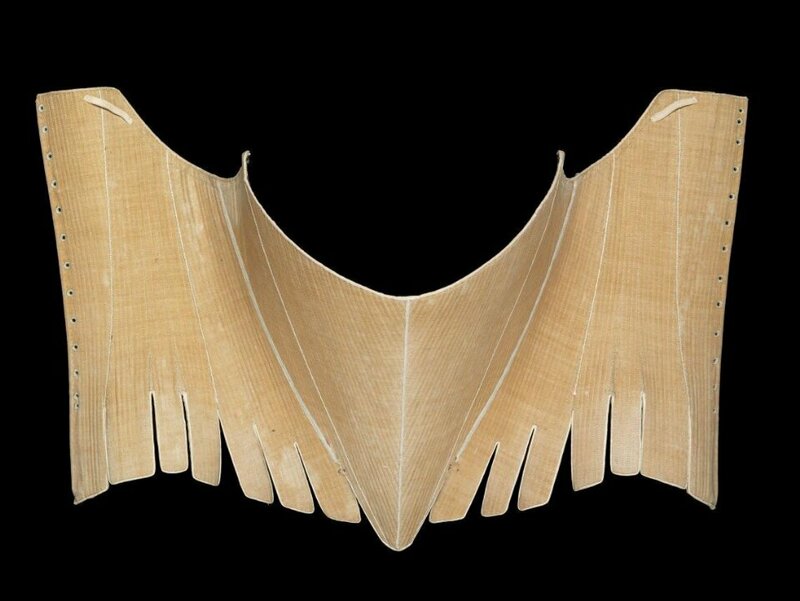 Three broad curved baleen strips run along the stays’ top edge. A calash is a collapsible hood-shaped bonnet made from fabric set over curved strips of baleen (whalebone) or cane. The bonnets – introduced in the 1770s to accommodate the fashion for high hairstyles – were worn until the mid-19th century. 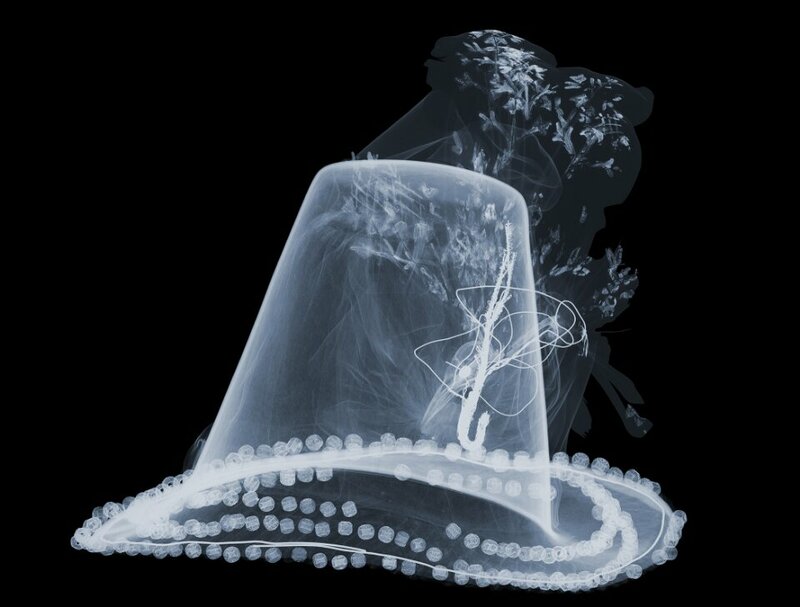 The x-ray shows how this example is shaped with cane.